Teaching kids to learn the latest technology can be very overwhelming. We recently had the opportunity to review an online class with CodeWizardsHQ that opened my eyes to a whole new way to help the kids learn these important computer skills! 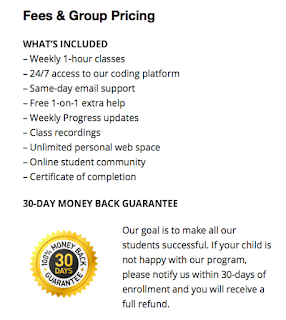 CodeWizardsHQ allows your students (roughly Grades 5 - 10) to learn programming skills in multiple computer languages, starting from very beginner programming through more advanced levels. Students attend weekly online live classes. Small class sizes allow for instructors to really concentrate and help their students to understand the material they are covering. The classes are interactive, allowing for immediate instructor feedback as the student works on their programming skills. 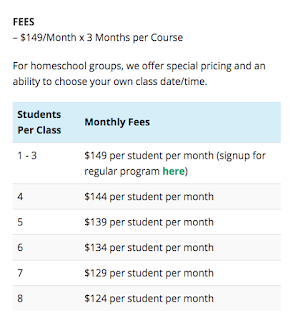 The patented classroom interface is also user friendly, making it great for students who have never taken online classes. Each class level runs for 12 weeks. Each class meets for an hour, with some outside assignments required for your student to work on projects. Assignments are graded, so if your state requires this, no need to worry about what you need to turn in for your records. Lydia tried a one-time class in basic HTML programming. 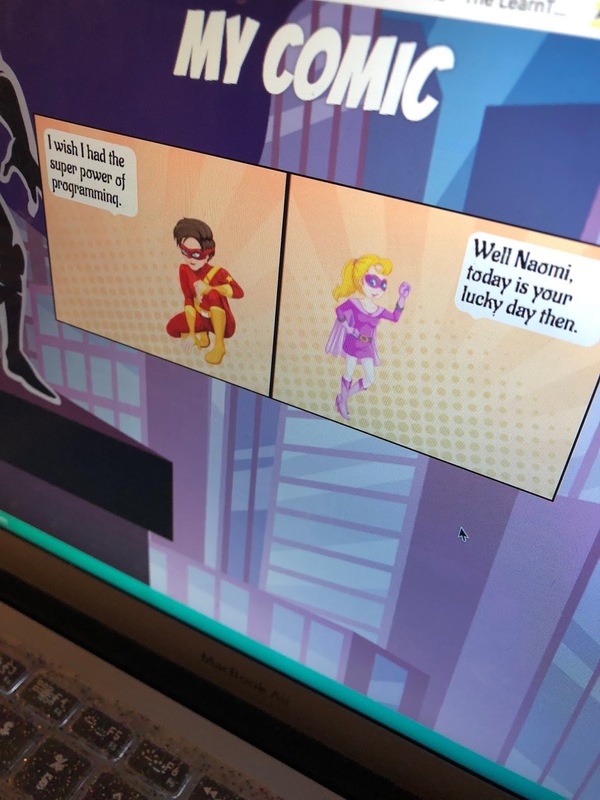 Their Project of the Day was to create a short comic strip. 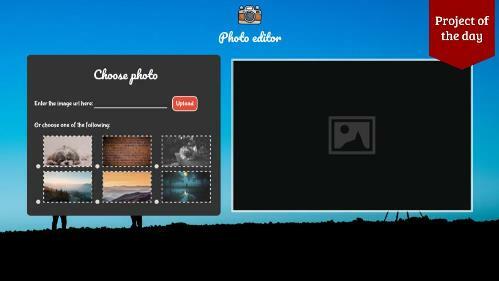 The interface was very easy to use. She was easily able to click on the link and was ready for class. This was great, since she has a MAC and generally we have to download a bunch of links in order to get most classrooms to work for us. The teacher was awesome. She interacted with all the students, and made sure that they were all working their way through the project of the day. 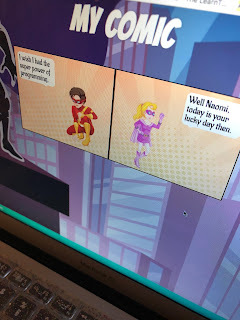 She was able to check what the kids were working on and was sharing the images with the whole class. If there were any issues, she kindly helped the student correct the mistake so that they could see their finished product. Lydia did not want to get up when the class was over. 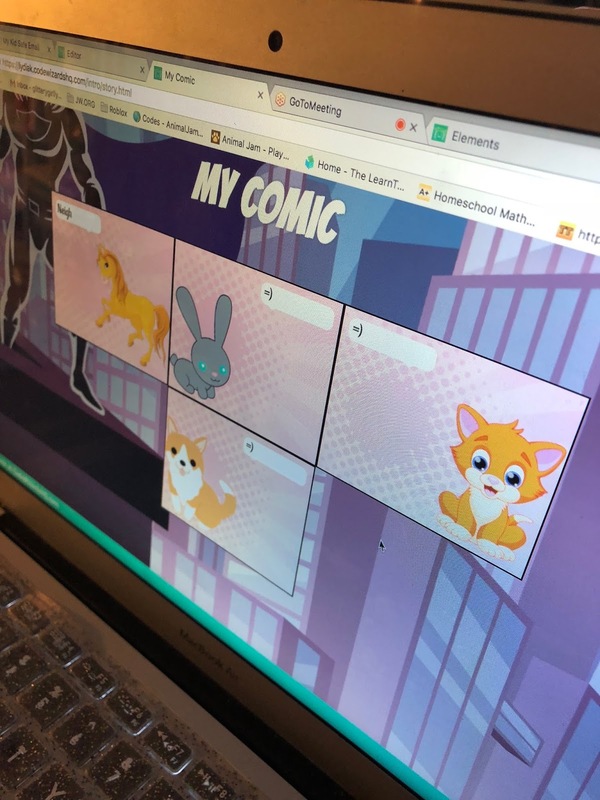 Lydia was very excited to get a chance to change her images around and make it an animal comic strip. In this shot, you can see that if Lydia was nervous about asking a question out loud, she could easily type a message to the instructor also. But her instructor could also see any mistakes she was making and was easily able to correct her in real-time. How Cool that was to hear!!! She didn't have to wait for feedback. The instructor could help them during class. That was awesome! I know that if she continues with CodeWizardsHQ her work outside of class will require some waiting on feedback, but to know that she is being gently guided along in the live classes is an extra benefit that I love!!! Her class lasted just a little over an hour. She learned a lot, and was able to continue putting some finishing touches on her project after the class was over. 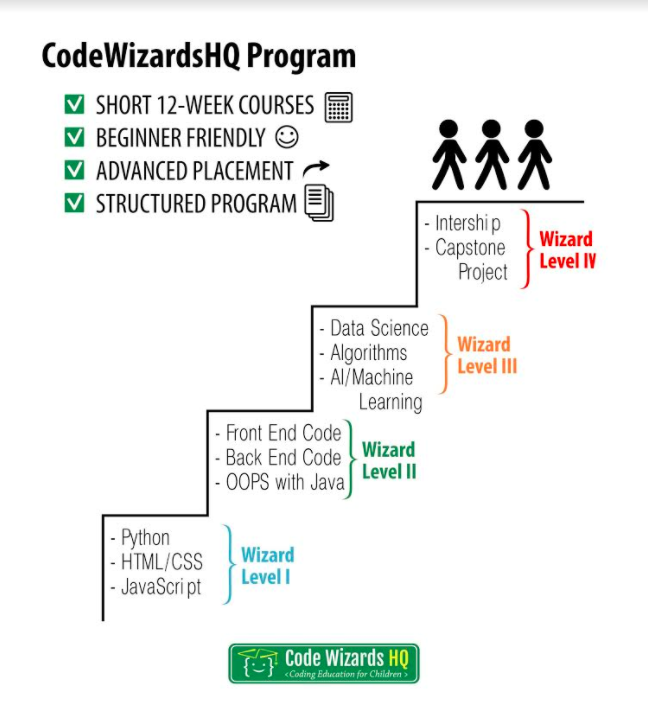 I asked her how she enjoyed the class, and she said that out of all the online computer classes that she has tried, CodeWizardsHQ has been her favorite. She asked when she could do another class. That is a big deal! I really liked the format of CodeWizardsHQ. Until this class, we have been piecing together our computer programming here and there. I wasn't happy with the lack of progress that she has been making. 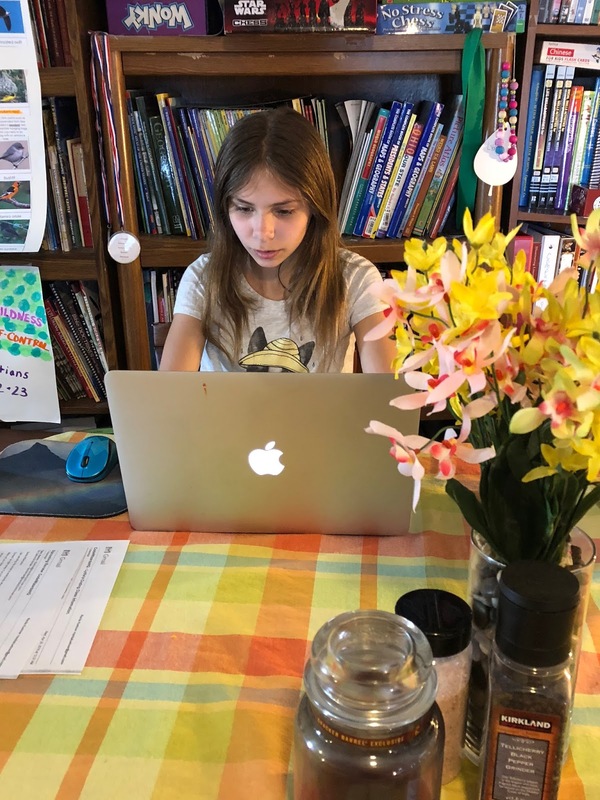 I truly believe that knowing programming languages is extremely important for kids, and I feel that this has been an area we are lacking (no matter how much I have spent on other online self-paced classes). 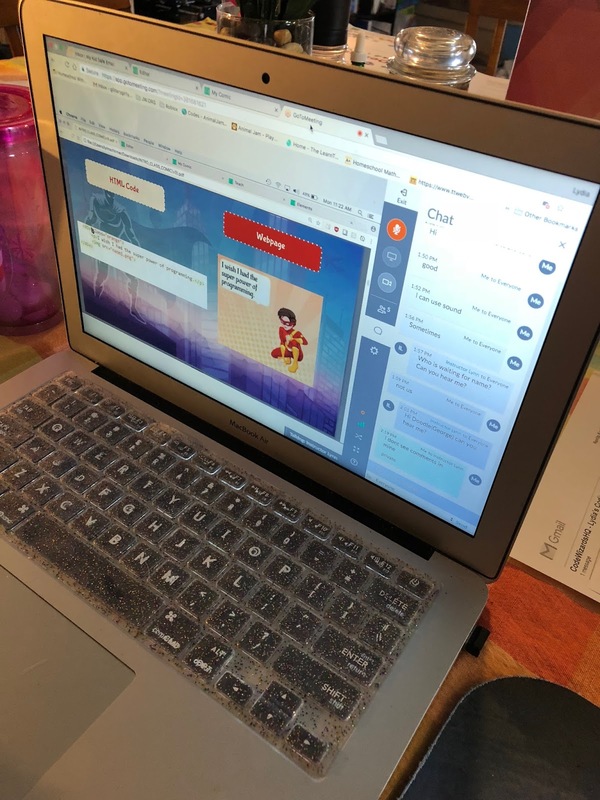 We have only completed one class, but she learned more in that one class working with a live instructor than she has in the past using self-paced classes we have been buying online. 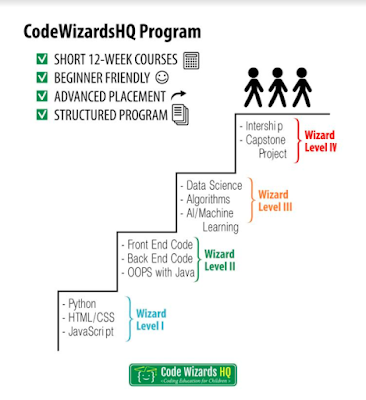 The CodeWizardsHQ program is meant to be taken in steps, depending on your child's current programming levels. Lydia would definitely be starting out in Wizard Level 1. 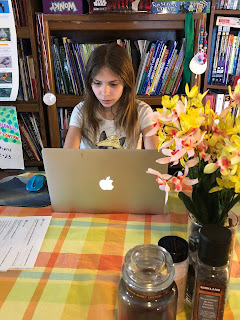 Even if some of the material she is learning is review, I really think that this level will help reinforce any programming she already knows. Each level then builds upon itself as your student continues through each course. CodeWizardsHQ is meant to get your child ready for college level computer programming. It's also not just bookwork that students will be reading, they are actually building and creating with the knowledge they are learning. Projects are also based around modern technology that student's know and use today. After researching about attending live classes, I did discover that recordings are made. So if a student does miss a class, they will not miss out on any information. This is another important aspect for us due to crazy schedules and we all have things that come up like doctor appointments or illnesses. Students can contact their instructors for help, or there is even a moderated message area where students can seek help from fellow students. I am super excited about signing Lydia up for her first level of CodeWizardsHQ. I am grateful that we had the opportunity to review this program. Please check out this video they created about their program to see for yourself. They do offer specials for Homeschool groups to be able to set up special class times to meet online and at a discount. 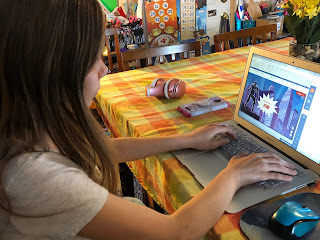 Several members of the Homeschool Review Crew were given the opportunity to review CodeWizardsHQ online class. Click on the link below to see how they felt about this innovative program.